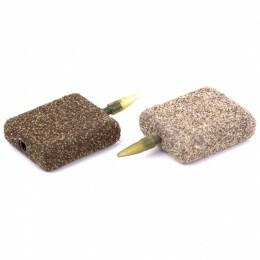 This multi-purpose hooklink material has a removable outer coating over a braid inner. 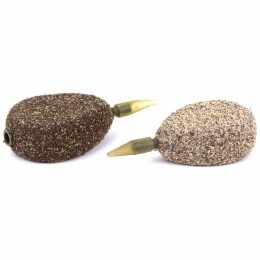 It’s ideal for pop ups and bottom baits in clean, hard bottoms or swims with sparse weed. 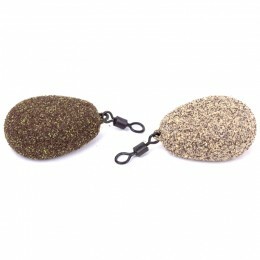 Because it uses Korda’s SafeZone technology, it’s colour-matched to lakebeds. 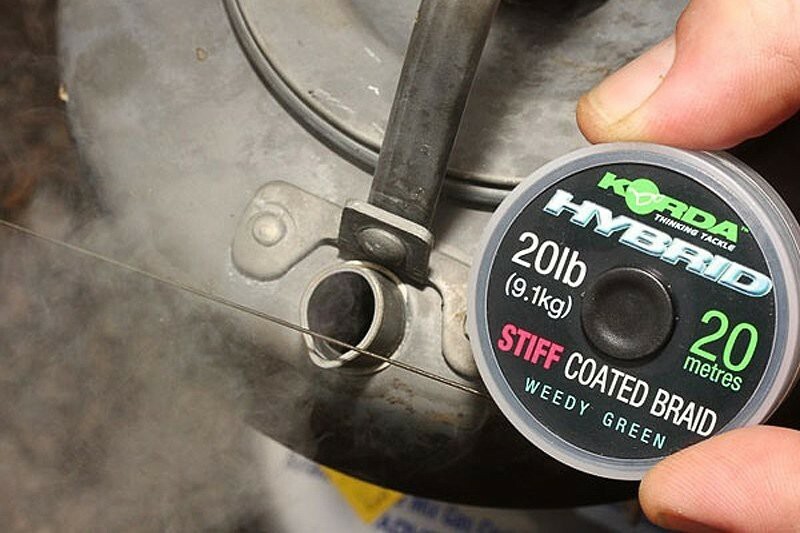 Rigorously tested by Team Korda to guarantee knot strength and help stop tangles, Hybrid pushes the hookbait away from the lead. The stiffness turns the hook and makes the hooking arrangement react faster because the hooklink is already straight, bringing the lead into play sooner. The Hybrid is fast sinking, thanks to the heavy coating. If you want to strip the coating, you’ll find it breaks away cleanly to expose the soft inner core. 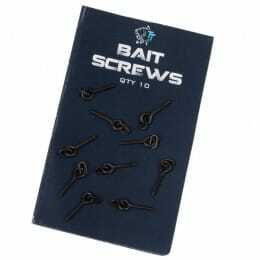 Because this stiff hooklink material sinks so quickly, it’s perfect for pop ups and bottom baits. 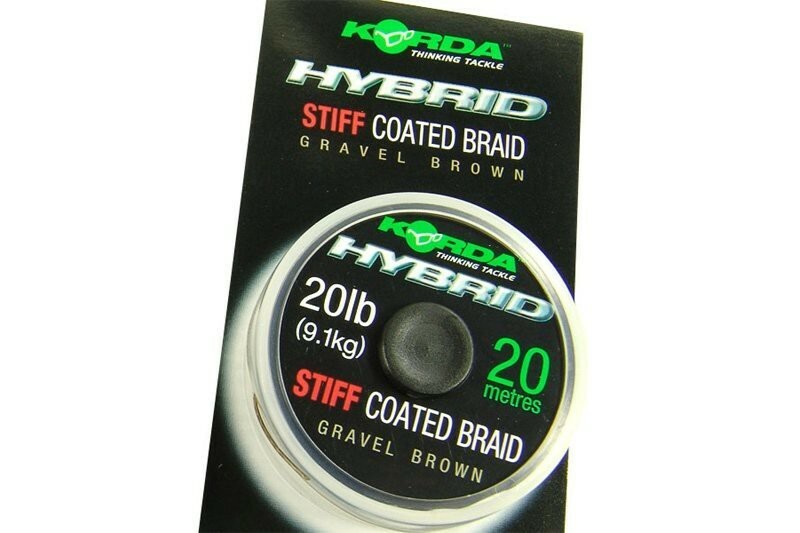 Korda’s SafeZone colour philosophy means the camo inner core and outer coating are both dyed to match actual lakebed samples. The colours may look off compared to other fishing lines, but they’ll disappear when dropped into the lakebed. 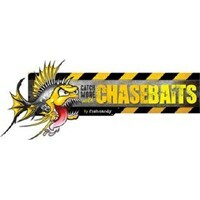 For fishing over bottom debris, expose the inner core section next to the lead. Korda recommends a 5 turn grinner knot for maximum strength. Because you can only achieve a full knot closure by softening the knot over a steaming kettle then pulling fully tight, it’s recommended you steam straight before use.